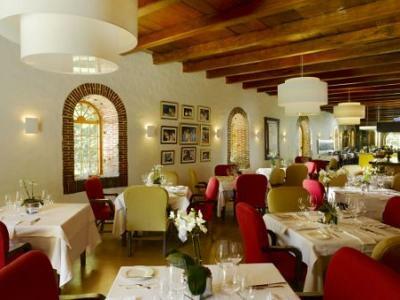 Rust en Vrede Restaurant - "More so than in life, restaurants are about balance." Not only in food and wine, but also people. And thus our service is as important as the food and wine. What makes it even more of a challenge is when all this happens on a historic and award winning wine estate. David Higgs heads up the team of chefs to enable you as guest to enjoy the freshest ingredients and daily changing menu. We have selected the right team and together we built from there, to create the finest dining experience at a world-class venue. By the time the doors opened we had selected the purveyors to provide the freshest ingredients and have personally selected the wines to compliment the menu. The original cellar, a National Monument, has been converted and our kitchen is placed "front and centre", thus creating an ambiance that is relaxed but vibey. We also have a proprietor/winemaker table in a private area between or cellars which can accommodate a maximum of 8 people. We take pride in the fact that time was taken with well known potter, David Walters, to create the crockery, handcrafted Riedel stemware was selected and Laguiole knives purchased, to give you an experience you won't soon forget.